First, let me be honest and say, “I have completely slipped on writing book reviews.” While being consumed with my trip to Raleigh in May, and then the crazy-good-hectic June, book reading was put on the back burner. Once you become an entrepreneur, small business owner, or a start-up business, you are now a freelancer. Your income is not based on a salary that a company is going to cut the check from their accounts. You have to go out and earn every penny. Your work ethic will dictate your paycheck. If you slack, a bill does not get paid or worse you end up with no clients. Reading My So Called Freelance life shared great insight for me about how to manage the responsibilities of a business. Myliek, the creator of Curlbox, shared it on Twitter and of course, I immediately went to Amazon to order it. I am addicted to reading even when I slack off a bit. The book shared a plethora of tips I already knew, but here are some great new things I want to share. Whatever you think you cover in your cost, add 15% to that. Potential clients and customers tend to haggle small business owners faster than big companies. To protect your companies bottom line add 15% to the first initially price you came up with. Or better yet add 30% to your pricing. So when the negotiation does happen you can be happy if it gets to the original price in your head. If there is no negotiation then you are actually getting paid what you deserve for the project. 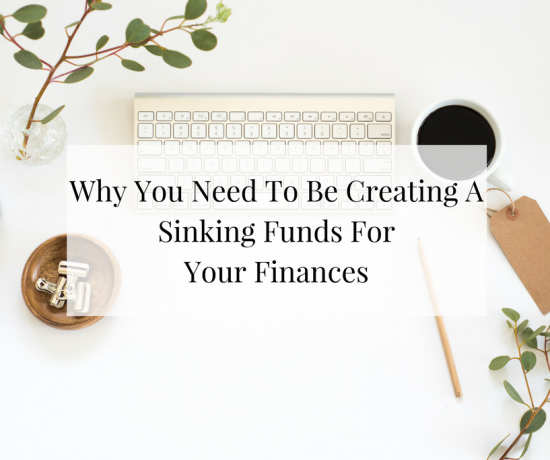 Everyone says you need to create a budget and give reason to why it is important. In My So Called Freelance Life, she touches on the base of this, but she also makes a point no one ever mentions. Add 30% more to the budget. Life can throw you a curve ball at any moment. Stating your rent is 30% more than it normally is will help you stay in budget and not live beyond your means. In the long run, there will be more money in savings or in other areas of your life. If you work from home, you could have the thought of “Oh I will just work from bed in my PJ’s today” and that leads to you watching Suits on Netflix instead of working. There needs to be boundaries when it comes to work. First, starting out you might not have extra money to rent an office or even do a co-op. Making a home office is important to keep you in the right train of thought. If you do not have a spare room, make a portion of your dinning table an “office space.” Just make this area anywhere besides your bedroom. Also, if you live with others, let them know this is your workspace–please respect it. Most importantly, create work hours, and keep focused. This is an understatement of how you should be handling the legal aspects of your business. Read all your contracts with a fine toothcomb. So many times we are excited to sign new clients, land big gigs or sign on with a brand that we overlook things that can harm us later in life. If you are a freelance copywriter, for example, you should know about non-compete. You could land this amazing job and five weeks in it falls apart. Someone refers you to another company in the same industry, the previous company hears about it, and sues you because you breached the non-compete clause. In addition, make sure your company has all it’s legal paper work in order. Did you file your companies legal structure, are you paying the correct tax amount, do you need to register a trademark? All these things matter when running a business. Be relentless when it comes to all things legal for you and your brand. If you are just starting out in business, no matter if it’s an ecommerce site, hand-made jewelry, or a tech start up, I highly recommend My So Called Freelance life. It covers a variety of subjects, and it’s always good to have a refresher on topics you might have once forgot about. Now that I am writing ebooks and teaching ecourses even more, I consider myself a freelancer. I find it funny that most entrepreneurs work 80 hours a week at a desk just to keep from working 40 hours a week at “Big Brothers Corporate” desk. Are you about the freelance life?